Make next weekend epic with our affordable and popular Classic Mini Bike. Its just like the ones we used to have in the good ol days, only safer and easier to ride. Its 80cc overhead valve engine and automatic clutch ensure easy operation, while its rugged steel frame and no-dent fenders provide the toughness you need to conquer the outdoors. All of our mini bikes come pre-assembled. Just attach the handlebars, add gas and go! 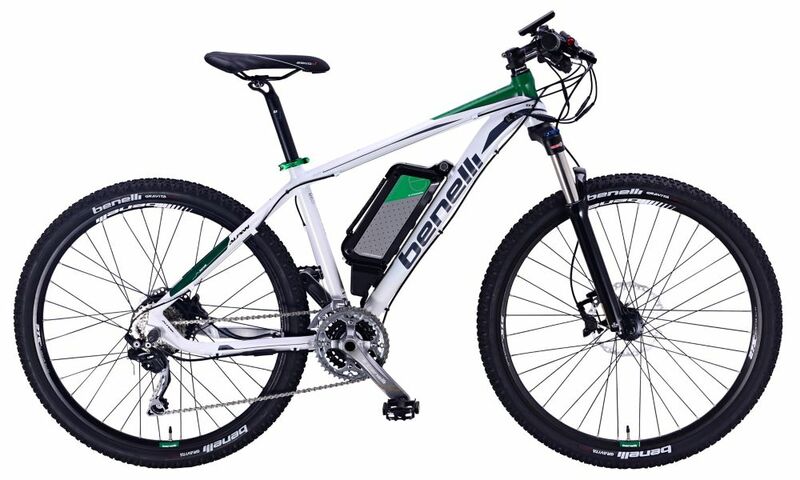 Alpan White Electric Mountain Bike This bike is the right balance of power and agility on the road. Alpan is a mountain bike with 27.5 inch wheels, the last frontier of the universe of off-road bicycles, which simultaneously maintains all advantages of 26 inch wheels (such as speed and lightness) and the stability and security of 29 inch wheels. Pedal to actuate the motor with two options to regulate speed; pedal alone or pedal with throttle for maximum speed potential.